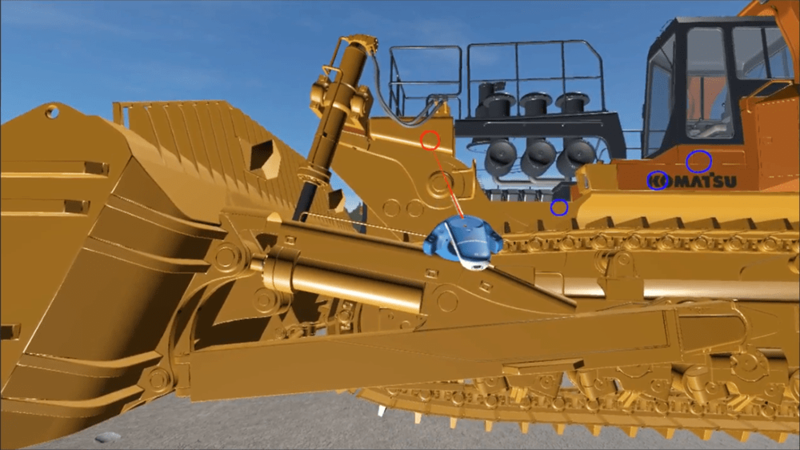 Powertrak Virtual Reality (VR) and 3D Product Configurator technology helps prospective customers design, quote, and order configurable construction machinery using drag-and-drop 3D product models. When the design is complete, users wear the HTC Vive headset to explore the machine in virtual reality. Visit Axonom in booth B92028 in the Bronze Hall at CONEXPO for our latest CPQ solutions including virtual reality and visual product configuration technologies used in the sales process for the construction and heavy equipment Industries. Caterpillar announced its displaying 40 machines in different exhibit areas totaling 60,000 square feet. I cannot imagine the shipping, drayage, and exhibitor space charges. It has to be astronomical. 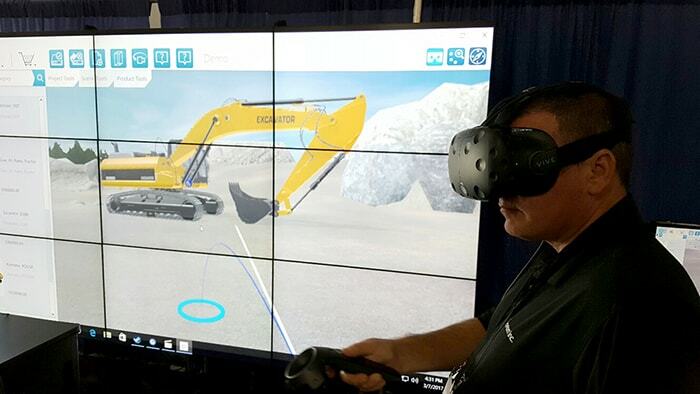 Virtual Reality enables construction equipment manufacturers to showcase entire product lines without the costly shipping, drayage, and other exhibit related expenses. Simply select a machine or two and drag it into the environment. Put on the HTC Vive headset - and go! That's it. 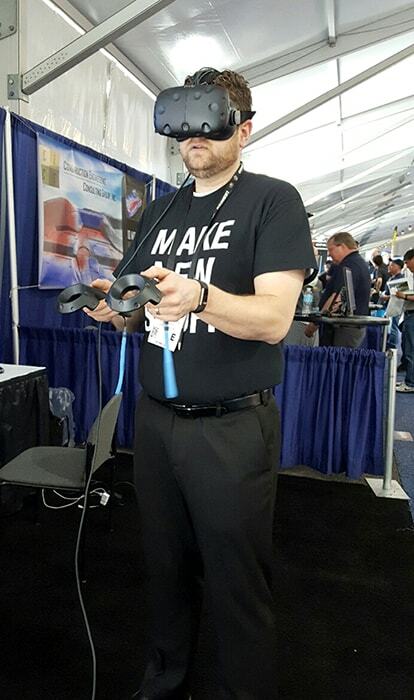 VR is best used to augment - not replace - heavy equipment at trade shows. We recommend reducing the exhibit space, bring less equipment, and leverage virtual reality to showcase other products. VR is not only an attention grabber but it establishes a strong emotional, connected sales experience with the target audience. It helps attendees virtually engage with the machine and better understand the benefits it will bring to their business. 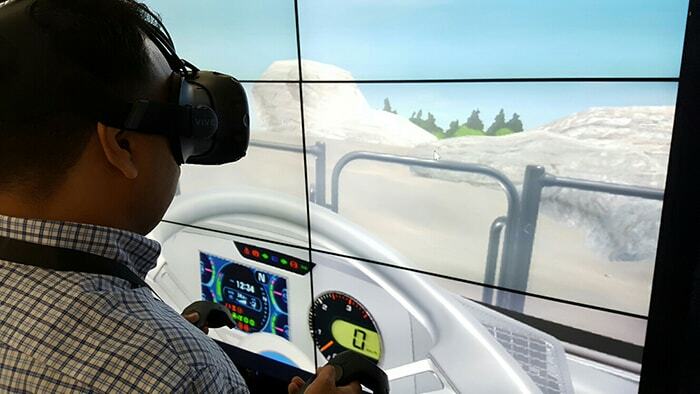 With over 2,500 exhibitors at CONEXPO, the virtual reality experience will no doubt leave an impactful, memorable impression. 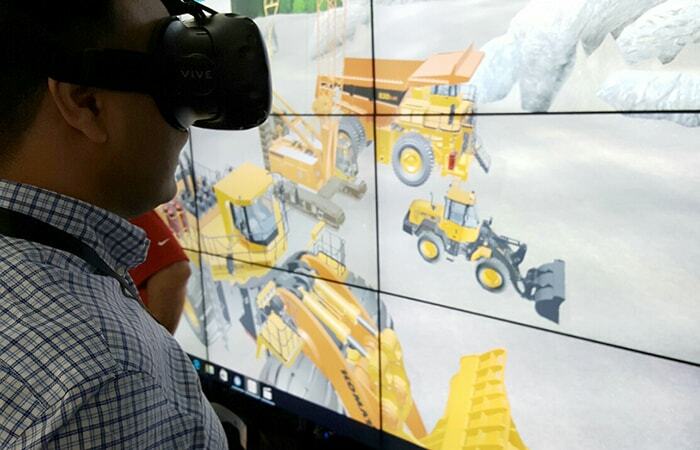 In our 10'x20' booth, CONEXPO attendees will be transported into a virtual rock quarry environment where they can see and interact with various excavating, grading, paving and aggregates mining and handling machines. Powertrak VRoom users will have hand controllers to select the type of machine (loader, crane, dump truck, or excavator), explore it from various viewpoints and scales, and visualize how different attachments (bucket, ripper, digger, breaker) fit on the equipment. CONEXPO-CON/AGG is the international gathering place every three years for the construction industries, with a focus on construction, aggregates and ready mixed concrete. The event features exhibits of the latest technologies and innovations in equipment, products and services plus extensive industry-targeted education.